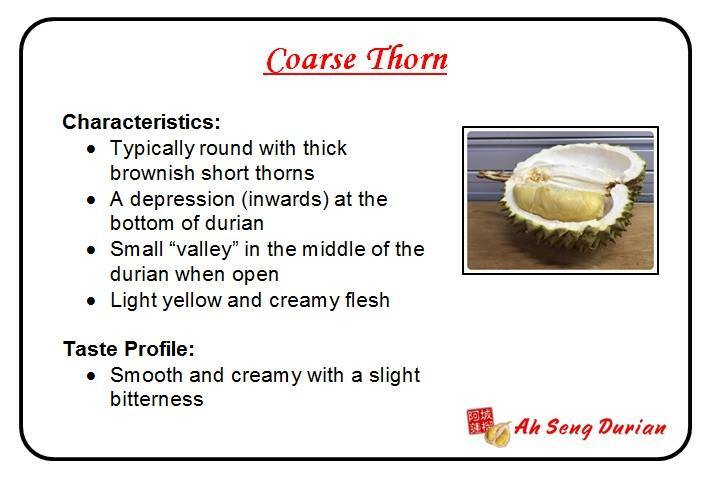 I think like most people not born in a place in abundance of durian, I have developed a love hate relationship with durians. 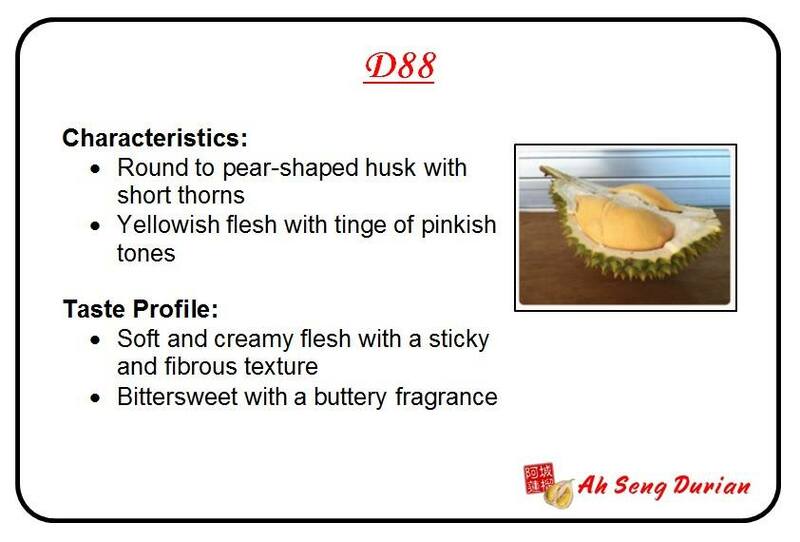 Sitting on the fence and always wondering whether I really like durians or not. Sometimes I do, sometimes I don't. I have always known that I loved the more processed and candy versions of durian. 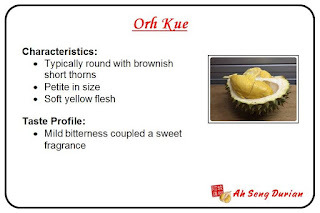 I also used to have the odd durian here and there. All the while, my mother and sister often savored and dived into durians like they were absolutely delicious cakes. But now, I finally see why they loved it so much! 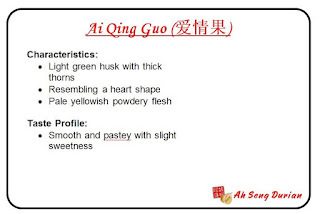 It's not the immediately captivating fruit to eat when you first "see" it, and unforgettably "smell" it. It has an acquired taste like Australian Vegemite, that really needs you to be mentally prepared for the unexpected! 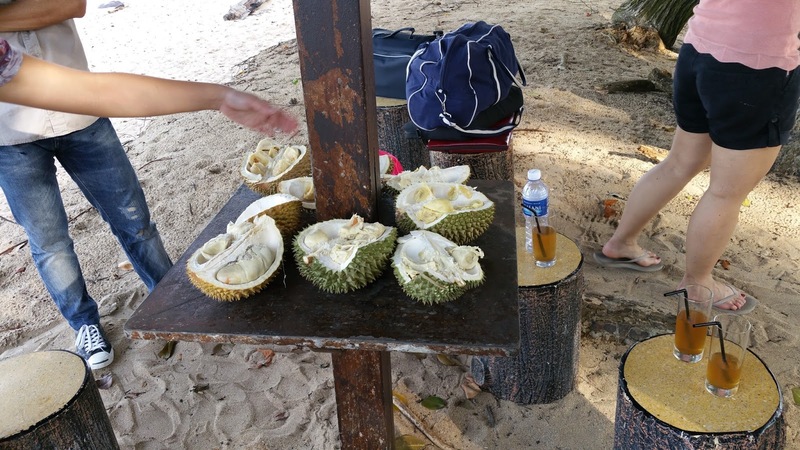 Well, something that really tipped me over to liking durians recently. And that is discovering that there are actually sweet durians!! 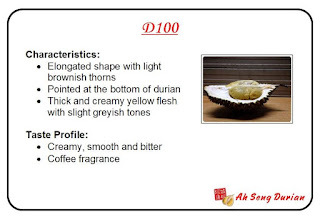 That's right, there are sweet durians. 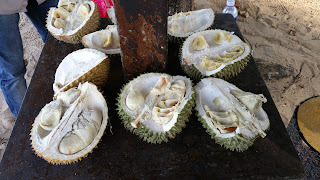 Durians do not always have to be bitter, unless of course you like them like that. 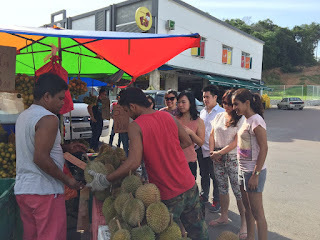 You can get sweet durians, bitter and sweet durians, and you can bitter durians. I think this is why in the past I may not have immediately liked them. But now that I know there are sweet ones, I aim for those. It's just a matter of choosing one that suits your preferences, budget and what is available where you are. 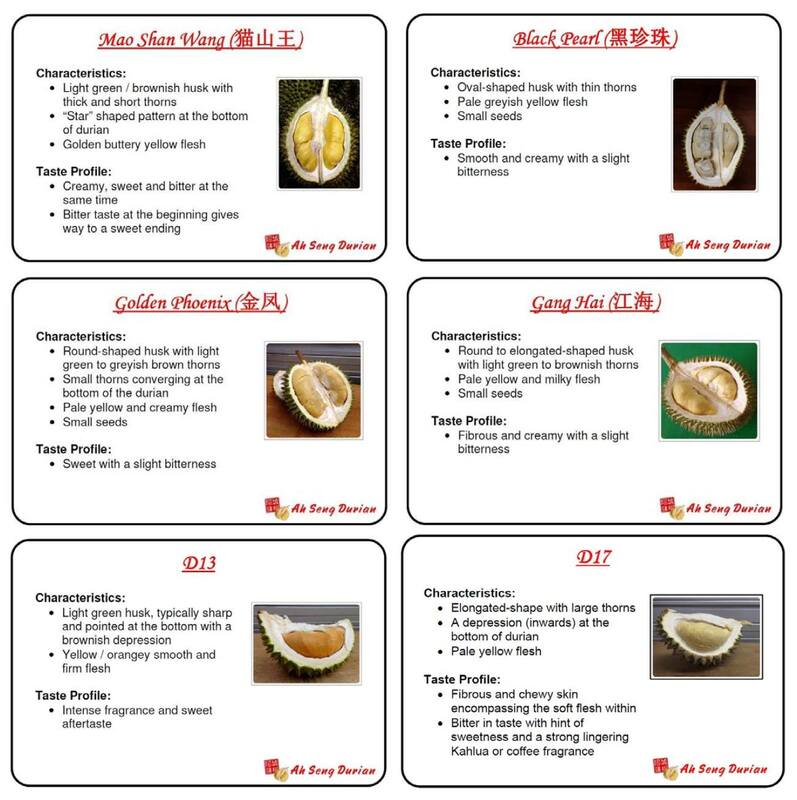 My favourite is Red Prawn durians and D24 durians. 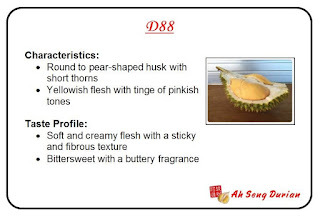 So, what types of durians are there available in Singapore? Well, one nice and savvy durian store (Ah Seng Durian) created this brief photo overview of it. Golden Phoenix durians a S$12 a kilogramme (2015), compared to S$15 last year (2014). 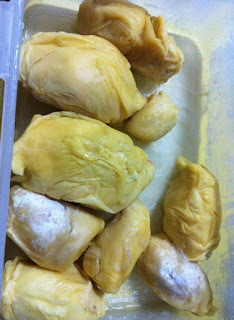 I personally brought some of Potong Pasir, where prices ranged from three D24 durians for $10, $5, $10, $15 for one D24 durian depending on size. 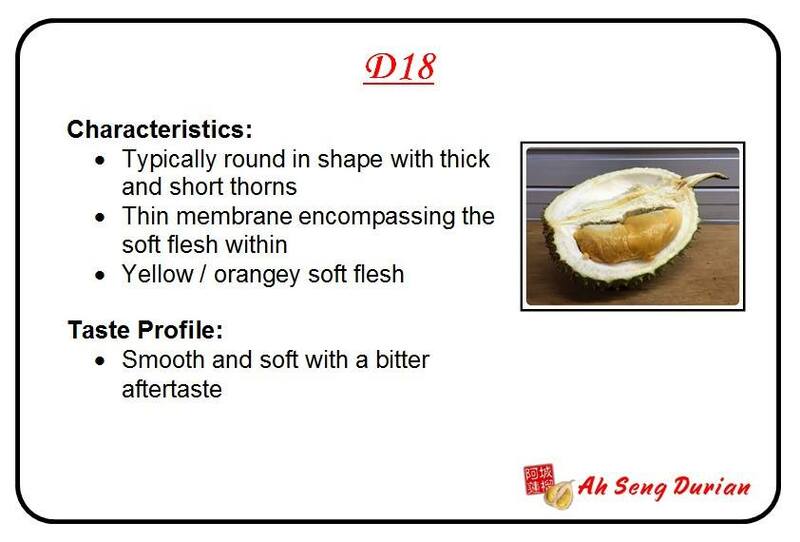 Mao Shan Wang durians were selling at $15 labelled as A1s and $18 for Mao Shan Wang durians from Pahang. 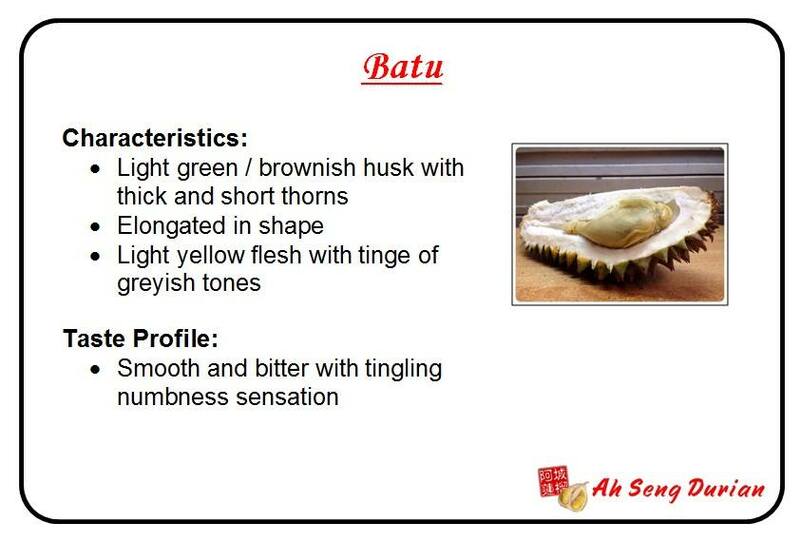 It takes time to learn how to select the right durian, it's like selecting a watermelon or rockmelon as you can never see what's inside it. 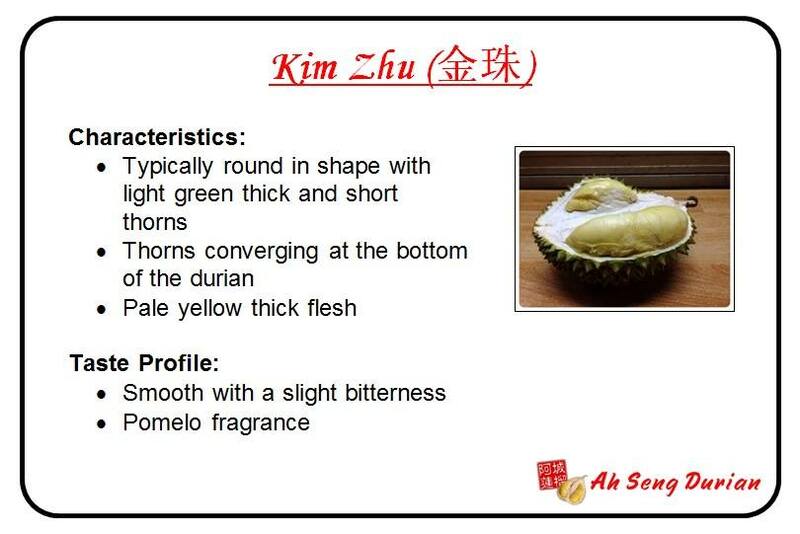 The great thing is though is that the seller/ vendor should always like you feel and taste the durian, after cutting a small portion of it open. Make sure you taste it and feel the meat of it. Most come from the Southeast Asian country of Malaysia, from the regions of Johor and Pahang. 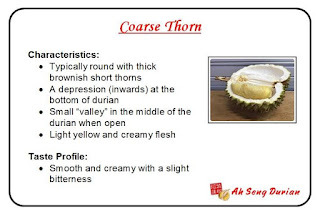 But sometimes, you may find them imported from other Southeast Asian countries such as Thailand and Vietnam. Sometimes you can find them in supermarkets/ hypermarts such as Giant and NTUC Fairprice. I have seen them at Giant Vivocity. 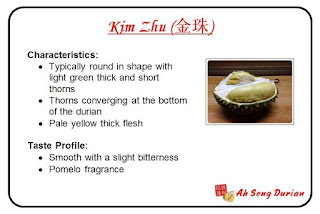 If you're looking for a good lists of durian stores in Singapore, here are some with good insights into the durian stores. HungryGoWhere also has a good list of where to buy durians in Singapore. Outside of Singapore, you will see them in floating stores in Malaysia. For example, I recently went on a work offsite to Desaru, Johor. 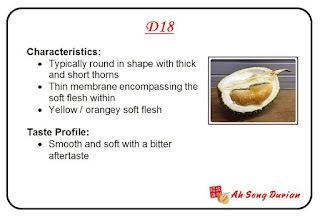 I think these ones store here in Johor are D13s or D-something. This store was located near a local supermarket, roughly along this road leading to the resorts at Desaru (on a parallel road on a hill). They were selling their most expensive ones for about 7RM per kg. 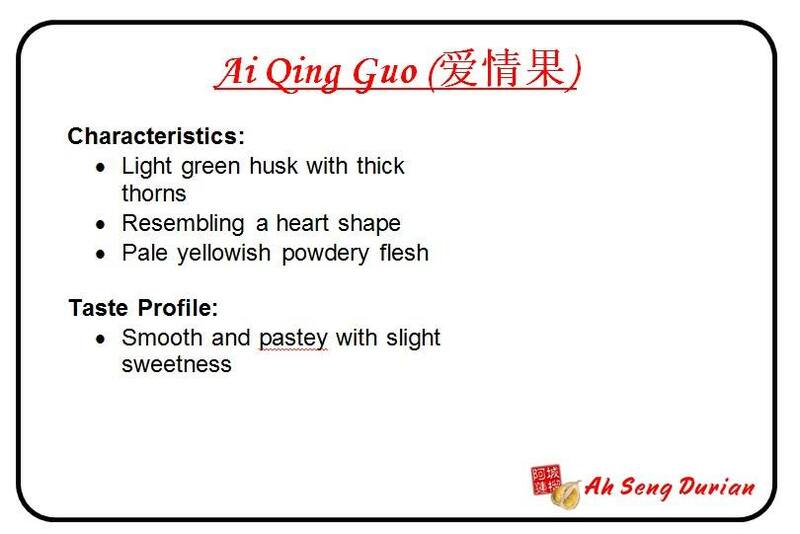 The taste varied for each ones, with some more smooth and sweet, while others were dry. Here's the ones we brought that we're eating at the resort. No eating in the hotel rooms, so we ate this outside by the beach. It was fun enjoying them with my fellow colleagues.